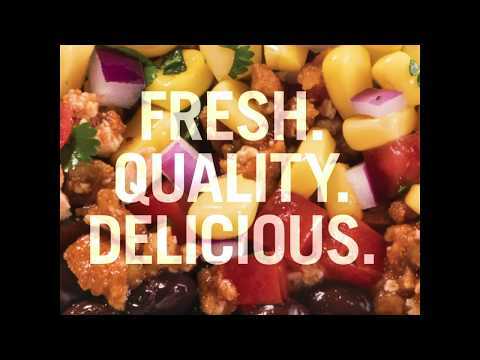 Whether following a vegetarian, flexitarian, or vegan diet or just looking to make healthier choices, Chipotle's customizable menu allows customers to select the items that best fit their needs. In 2014, Chipotle was an early entrant into the plant-based conversation, introducing its delicious, vegan protein option, Sofritas®. Only a few years later, 7.5 million pounds of Sofritas were cooked up in 2018 alone. Made from certified organic soybeans grown domestically, the protein is then shredded and smothered in a blend of spices including poblano pepper, cumin and of course, chipotle chile, creating a delicious alternative to traditional meat without skimping on flavor.